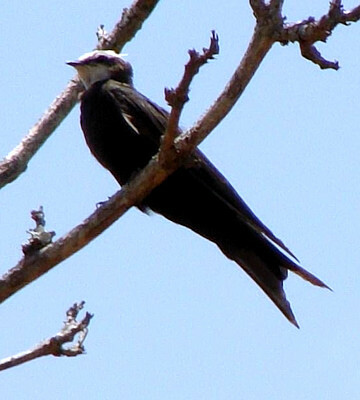 The white-headed saw-wing is endemic to east and central Africa. 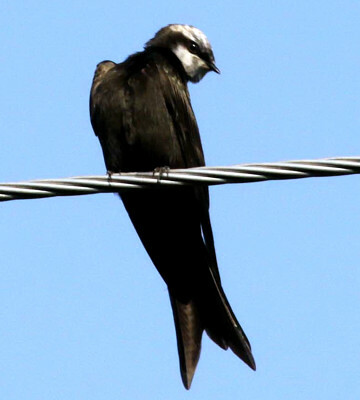 It has a white head with a black eye line that runs back to the nape ( see right upper and left lower images). 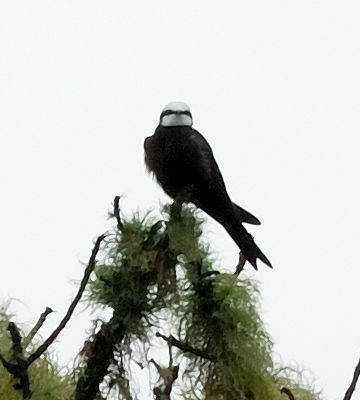 The upper bird was seen in the Nou Forest in January 2008. 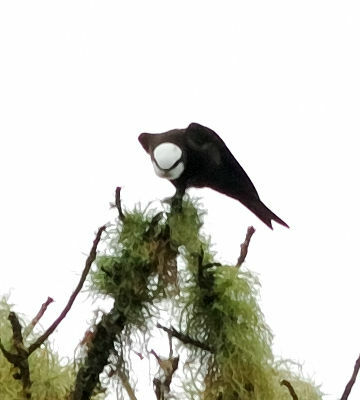 The left lower bird was photographed in Kibale NP (Uganda, 1-10), courtesy of Karine Van der Vurst and the left lower bird, in Akagera NP (Rwanda, 3-10), courtesy of Jason Anderson.